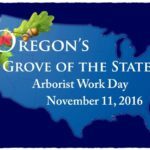 On November 11, 2016, a team of two dozen highly skilled volunteer arborists from four local companies sponsored a work day in Oregon’s Grove of the States to prepare the site for the next phase of its restoration. We are pleased to invite you to become a sponsor to Oregon’s Grove of the States. This is a unique opportunity to participate in the restoration and preservation of a historic Oregon arboretum with national roots. Download a copy of the Sponsor Letter (PDF). What is the Grove of the States? 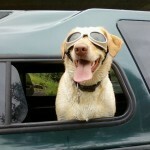 As the weather improves, Oregonians turn their thoughts towards outdoor activities. Many of these prospective vacationers will plan road trips far in advance—performing online research and outlining the perfect route to their chosen destinations. They’ll schedule stopping points for meals and driving breaks, and collect travel brochures and other tourism publications that invite them to explore nearby points of interest. 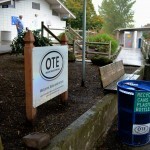 We thought it might be easier to plan your Oregon road-trip if you know what our most common rest area amenities are and what to look for when you stop. You’ll find all that information and more, including traffic updates, below. 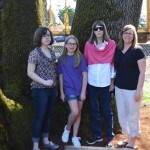 The Lee Oak Heritage Tree in Canby, Oregon, was celebrated on April 8, 2016. 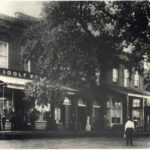 A crowd of about 60 people attended, including four generations descended from Philander and Anna Lee, who planted the tree some 146 years ago. Canby Mayor Brian Hodson, OTIC/OTE Executive Director Nancy DeSouza, Chair Carol Palmer of the Canby Historic Review Board, and members of the Oregon Heritage Tree Committee gave presentations. 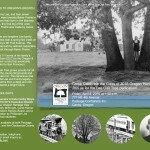 Oregon Travel Experience (OTE) and the Oregon Heritage Tree Committee are pleased to announce the 2016 winner of the Maynard Drawson Memorial Award. 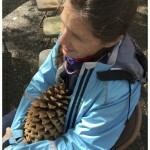 Catherine Mushel, of Portland, Oregon, will receive the award during Portland’s Arbor Day celebration on Saturday, April 30, 2016, at 11:00 a.m. The public is invited to attend the presentation at the South Park Blocks arbor-event stage. Oregon’s Heritage Tree Program inducted the Canby ‘Lee Oak Tree,’ a 146-year old specimen of Oregon botanical history as part of its Class of 2016. Finding the tree is easy—it’s located at 777 NE 4th Avenue, between Package Containers Inc., and the Clackamas County Fairgrounds. *Enlarge the invitation by clicking on the image. 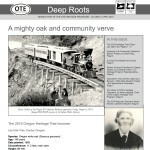 Dive into Oregon history and heritage—with Oregon Travel Experience’s latest publication, Deep Roots. The annual publication is available free of charge to the public, as long as supplies last. We’ve heard our customers speak. Oregon Travel Experience highway business sign (and kiosk) customers may now renew their permit fees online through our safe and secure portal.